The World Health Organization (WHO) announced consumers in Europe should not eat raw bean and seed sprouts until investigations into the continent’s deadly e. coli outbreak are complete. Over 4,000 people have fallen ill and 50 died since the health crisis began in May. While cases were originally confined to Germany, they have since spread to France and Sweden. WHO said the European Food Safety Authority has set up a task force to monitor the outbreak. 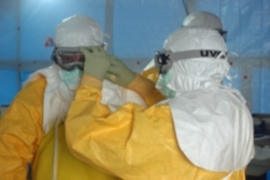 It is working with the European Centre for Disease Prevention and Control and EU member states to coordinate a response. Originally authorities believed the outbreak had been caused by imported Spanish cucumbers. Lettuce and tomatoes were also suspected before health officials in Germany determined bean and seed sprouts were in fact responsible. 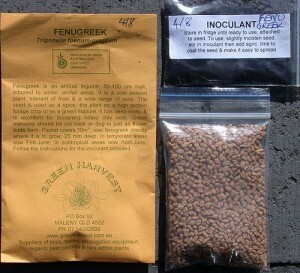 Recent reports indicated fenugreek seeds imported from Egypt may have been the specific vehicle for the deadly e. coli strain. Until the investigations have been completed, WHO advises consumers in the WHO European Region that bean sprouts or sprouted seeds – whether commercially or home grown – should only be eaten when they have been thoroughly cooked. E. coli bacteria are killed at a cooking temperature of 70 °C. Since measuring the temperature of sprouting beans and seeds is difficult, it is recommended to cook them until they are steaming hot, not just warm. In addition, people should wash their hands after handling seeds intended for planting or sprouting. Anyone experiencing bloody diarrhoea (a key symptom of infection) should see a doctor immediately, the statement concluded. The warning is the strongest WHO has yet issued regarding the e. coli outbreak.